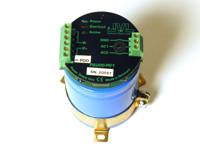 Large capacitor which absorbs energy returned during motor decacceleration so that it can be reused. If the voltage nevertheless increases to more than about 50VDC the energy will be dissipated in a built in power dump resistor. The Power Supply can feed several MAC motors, up to 1000 W total. An external transformer must be connected. 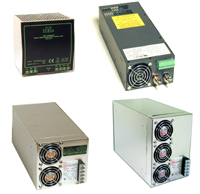 JVL can supply a full range of highly efficient power supplies ideally suited for supplying the entire range of integrated MAC motors. You can choose between power supplies with 5, 24 or 48 Volts output and current ratings from 5A to 19A for driving a single or several motors at the same time.